Planet Earth was created over 4 billion years ago and relatively little is known about our history here. Ancient fossils and artifacts buried deep below the Earth’s surface give us clues as to what life was like and how our history unfolded. Archaeologists attempt to fill in the gaps of history to the best of their abilities but some discoveries are simply out of this world. Incredible technologies from the past may leave you feeling like we haven’t advanced in centuries. 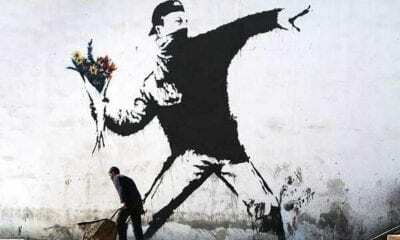 Other findings revealing our horrific brutality may feel uncomfortably familiar. Take an expedition with us around the world to discover the Earth’s most shocking archaeological finds. Multiple buried corpses have been unearthed in Bulgaria with iron rods impaled through their chests. 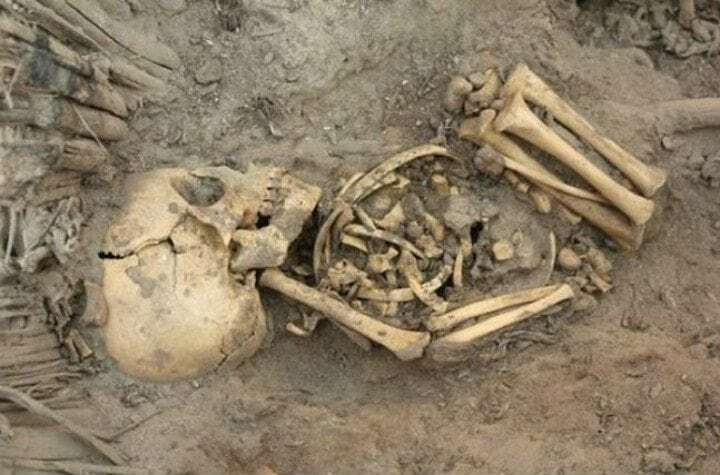 Archaeological evidence shows that the corpses date back around 700 years. 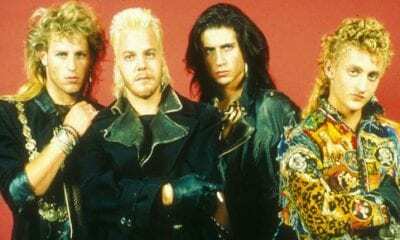 The finding gives evidence to the strong belief in Eastern Europe that vampires existed, much like the belief of witches in Western Europe and the Americas. The discovery was made at the ancient temple of Perperion, near modern-day Sofia. The locals believed that vampires would not rise from the dead if buried with a stake through their hearts. Scores of people were killed because they were accused of being vampires. Other vampire graves have actually been found with the resident’s head removed. In 1513 Ottoman admiral and cartographer Piri Reis compiled a world map depicting continents and coastlines with some accuracy which were thought to be undiscovered at the time. Most notable, the map depicted the continent of Antarctica (discovered in 1818) as it was hundreds of years earlier. 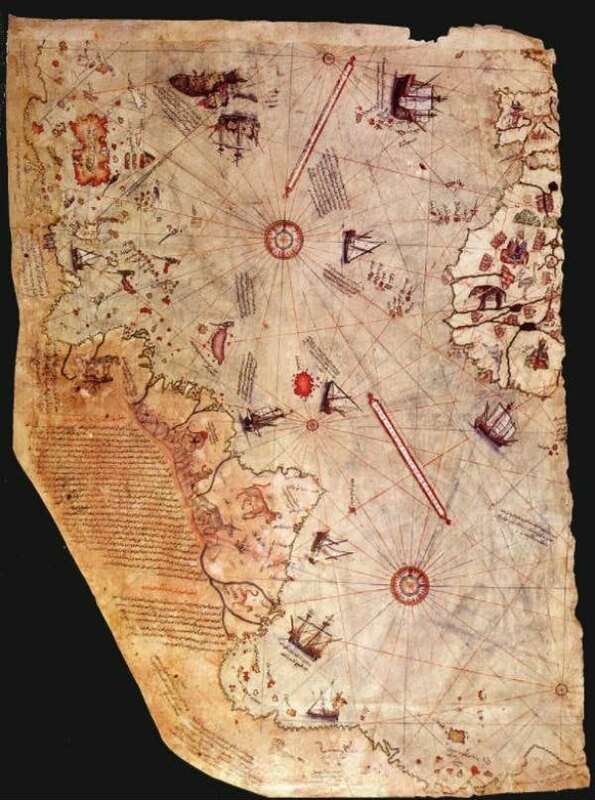 The Piri Reis map describes the continent of Antarctica before it was covered in ice. This has led to some researchers hypothesizing that advanced knowledge was handed down from a prehistoric sea-faring civilization. Interestingly Antarctica and South America are shown connected by a land bridge. A frightening discovery of what appeared to be a monster’s claw was found in the caves of Mount Owen in New Zealand three decades ago. 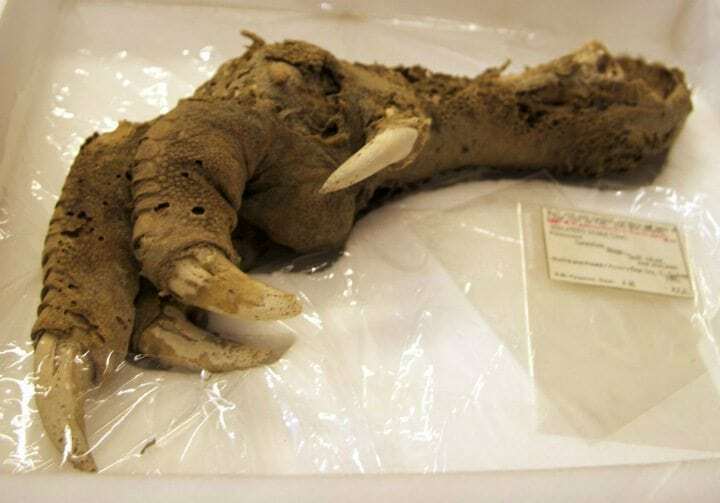 The dinosaur-like claw belonged to a 3,300-year-old mummified upland moa, a prehistoric bird. The moa resembles modern-day emus, only greatly larger. Some of the species measured over 10 feet in height. DNA analysis suggests that the first moa appeared around 18.5 million years ago. Recently, scientists have shown interest in reviving the species by extracting DNA from the discovered remains. In 1999 multiple alien-like skulls were unearthed in a small Mexican village. The site contained 25 human burials, 13 of them had deformed elongated skulls, much like Hollywood depictions of aliens. The skeletons were however human. Cranial elongation was a common practice among pre-Hispanic populations. During childhood, their skulls would be compressed between two wooden boards. Researchers have suggested that elongated heads were a sign of higher intelligence, or possibly just enhanced beauty. Cranial elongation has been practiced by multiple cultures around the world, the earliest examples can be dated back 10,000 years ago. 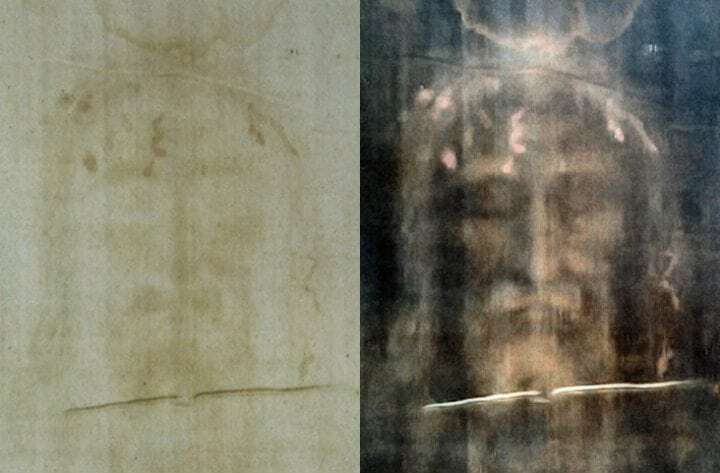 The controversial Shroud of Turin is a linen cloth which bears the image of a man many believe to be Jesus of Nazareth. The cloth first appeared publicly in a French exhibition in 1357. Three carbon dating tests were performed on a corner of the cloth in 1988 dating the item between the years 1260 and 1390. Some researchers have attempted to highlight concerns with the carbon dating results but none of the challenges have been successful. 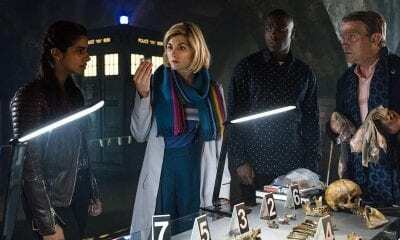 DNA testing was also performed on the shroud but only showed that the item had been touch by people from all around the world. To date, the item’s authenticity is highly controversial. The Vatican has generally refrained from commenting of its authenticity and focused on what it represents. 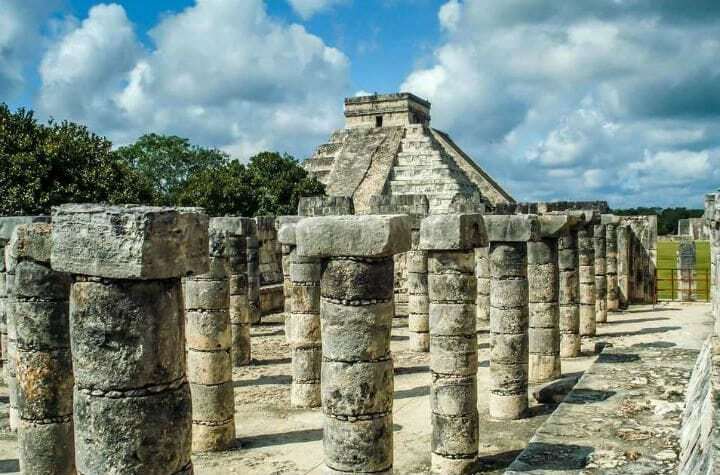 Discovery of ancient Mesoamerican sites such as Caracol and Chichen Itza led to the archaeological finds of an ancient sport played by the indigenous populations, today referred to as “pok ta pok.” To date, at least 1,300 ball courts have been found. The sport served a ritualistic and political purpose in the region, spanning across numerous empires. The losing team captain, or sometimes team members, would be sacrificed after the game. Mayan art frequently depicts sacrificing captives after losing a ballgame. There is also speculation that the decapitated heads would then be used as game balls, for a victory lap so to speak. In 1988 archaeologists discovered the remains of at least 97 babies in an ancient Roman sewer under the modern Israeli city of Ashkelon. 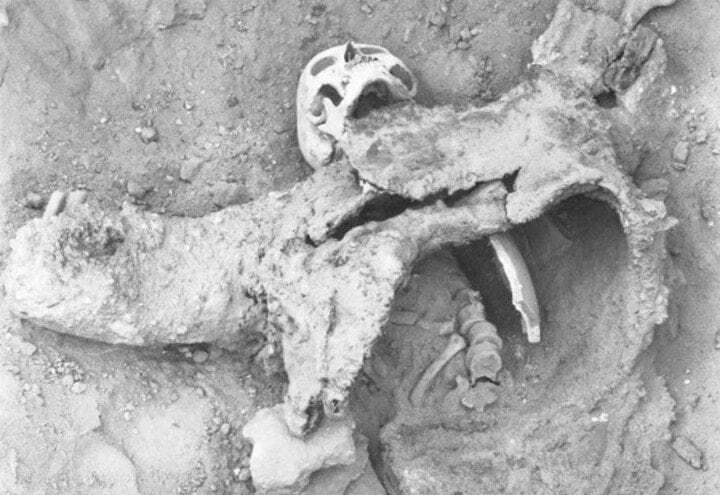 The find was the largest infant mass grave ever unearthed. Further examination showed that the babies were over a week old and were healthy at the time of death. Stonehenge is one of the world’s most famous and mysterious archaeological finds. The site is believed to have been constructed around 5,000 years ago. Archaeologists suggest that the site was initially used as a burial ground. Some of the giant standing stones weigh-in at around 25 tons. Over time Stonehenge has become an important religious site to pagans, especially druids. 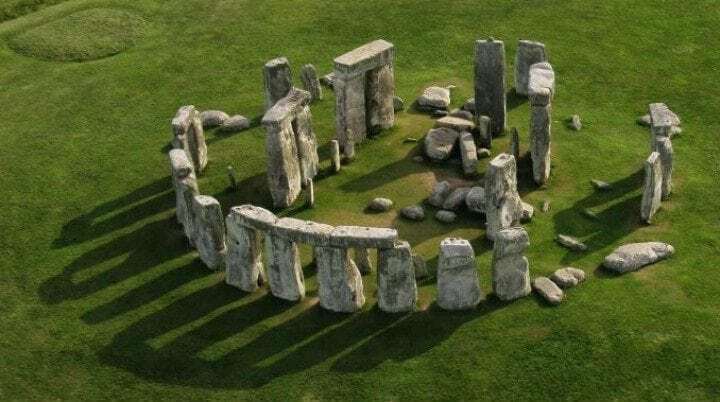 Some theorize that Stonehenge was a sacred place with healing powers or possibly a celestial observatory. The site and its surroundings were declared a UNESCO World Heritage Site in 1986. 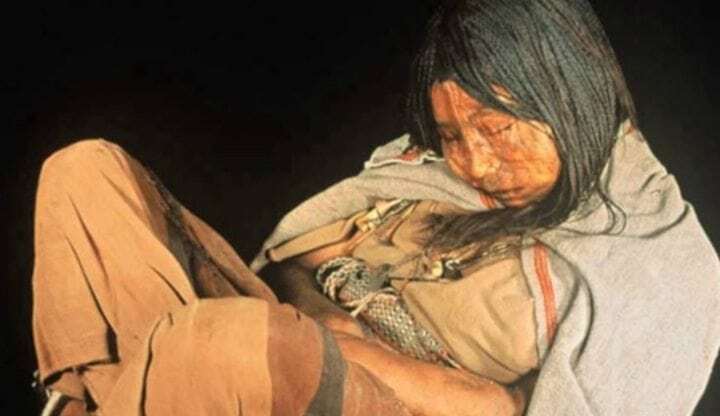 In 1999 three Inca children were discovered frozen near the Argentinian volcano Llullaillaco, their bodies mummified by the freezing cold. Analysis revealed that the three had been sacrificed around 500 years earlier and regularly consumed alcohol and coca leaves (the plant from which cocaine is produced). Evidence shows that the ritual sacrifice was an honor and one of the girls held a high status in society. The other two were possibly her attendants. It is also likely that she was sedated prior to freezing to death. Explorers discovered thousands of mysterious stone jars arranged in clusters in Laos. The jars greatly vary in size and are thought to have been used for burial, many of the smaller jars were stolen. Human remains and burial goods have been discovered around the jars. The site dates back to 500 BC to 500 AD. 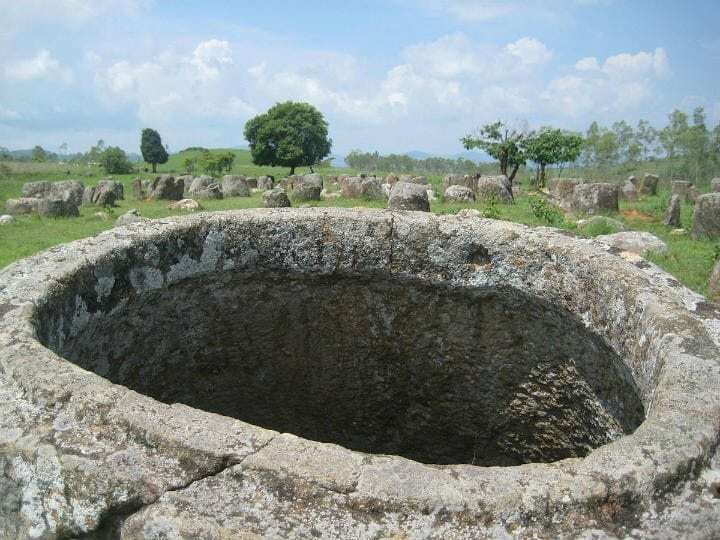 According to local legends, giants once inhabited the region and their king would store alcohol in the jars to celebrate their war victories. Some researchers suggest that the jars may have been used to collect monsoon rainwater for travelers or were possibly used as kilns. 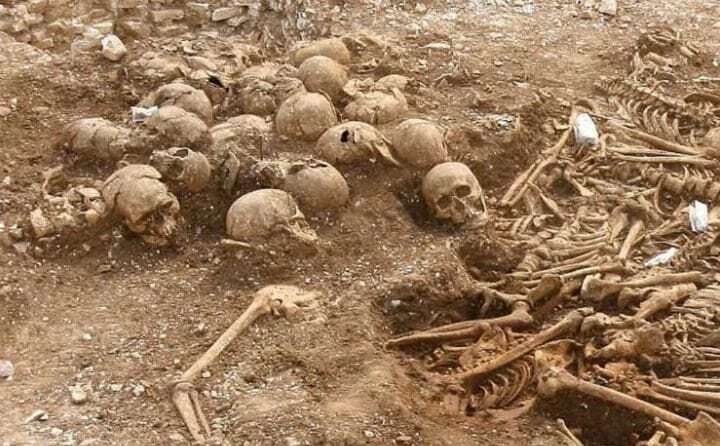 In a shocking discovery, a mass grave of 51 heads and 54 skeletons of Scandinavian Vikings were unearthed in Weymouth England. The heads were buried separately from the bodies sometime between 970 to 1025 AD. The grave was discovered in 2009 by a group of archaeologists. 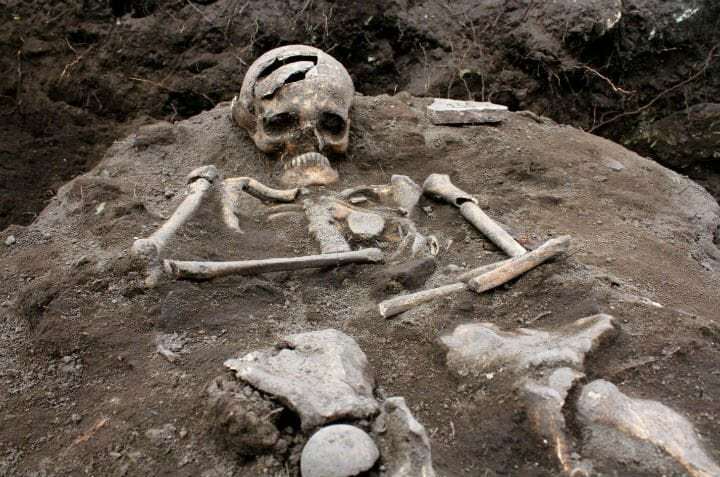 Forensic analysis showed that all of the skeletons were males no older than 25. Injuries to the bodies indicated that they had been executed and suffered severe violence prior to their deaths. The Vikings were likely captured while attempting to invade Anglo-Saxon territory. 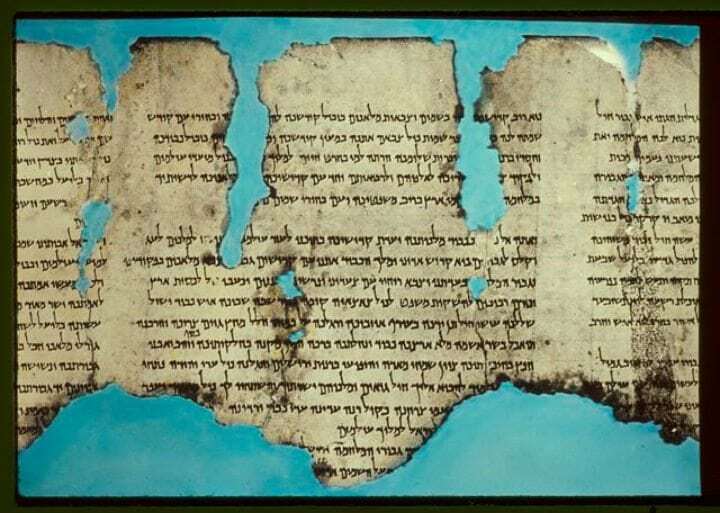 The Copper Dead Sea Scroll is part of the Dead Sea Scrolls found in a cave near Qumran, Israel. The scroll was discovered by an archaeologist in 1952. The metal had to be cut into sheets and laid flat in order to allow the text to be read. Much to the surprise of the archaeologists, the text contained in the scroll was not a literary work, but a treasure map. The text, written in Hebrew around 50-100 BC, describes 64 different locations which contain gold and silver. One entry mentions hidden priestly garments. The treasures described in the scroll are presumed to be from either the first or second Temple in Jerusalem. 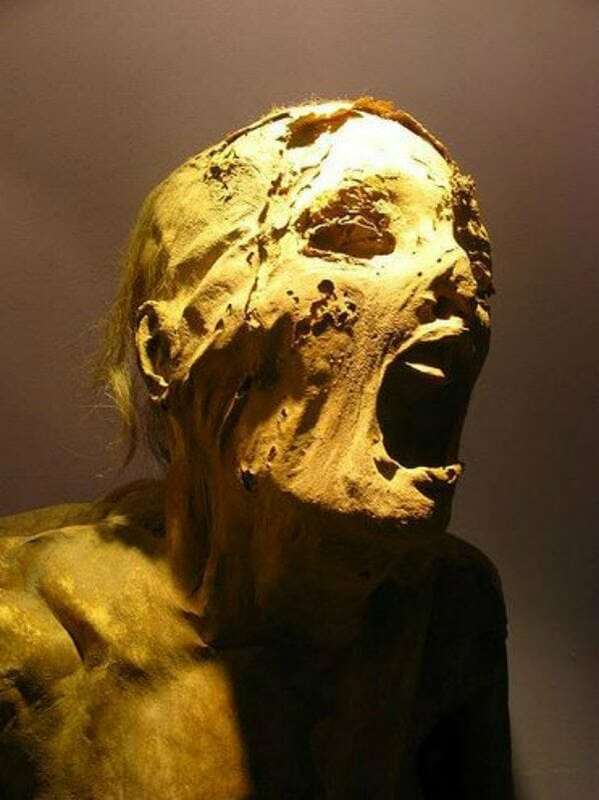 Back in 1886, a mummy was unwrapped in Egypt that appeared to be writhing in pain, his face stuck in an eternal scream. Based on his position and plain, unmarked coffin it was assumed that he had been mummified alive as a punishment and history had forgotten him. The screaming man has been named “Man E.” Some believe that Man E was the traitor son of Rameses III. Further research has revealed that the screaming mummy could have been as old as 40, consistent with the age of Rameses’ son. A pit of 16 human right hands was uncovered in an ancient Egyptian palace by a team of archaeologists in 2010. 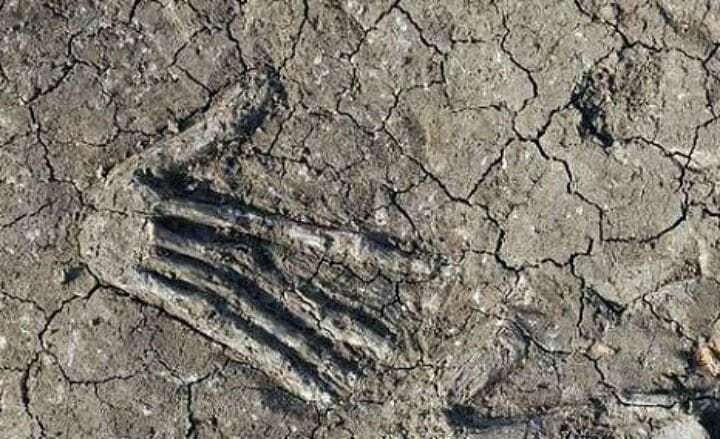 The hands were buried around 3,600 years ago. The finding was the first physical evidence to attest to the Egyptian custom of soldiers presenting the cut-off right hand of an enemy in exchange for gold. The hands are believed to have belonged to enemies of the Pharaoh. Ancient Egyptian artifacts document in gruesome detail the treatment of captives and enemies. 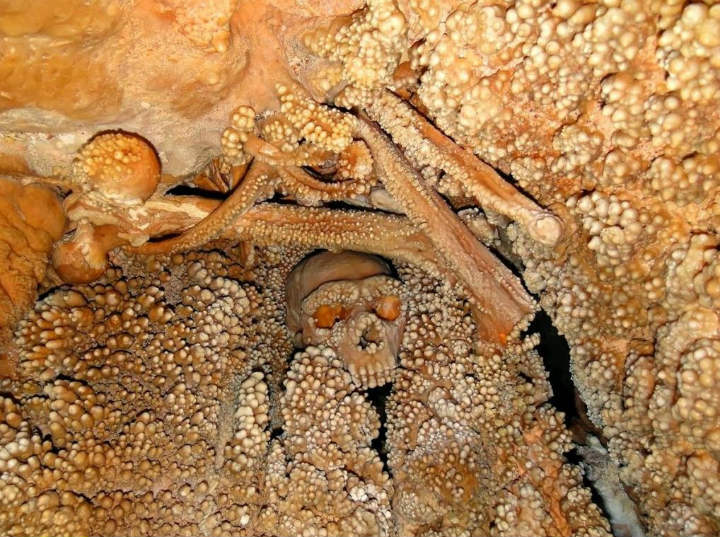 In 2010 the remains of 12 Neanderthals were discovered in a cave in northern Spain. Research suggests that the group died some 49,000 years ago and were eaten by other Neanderthals. 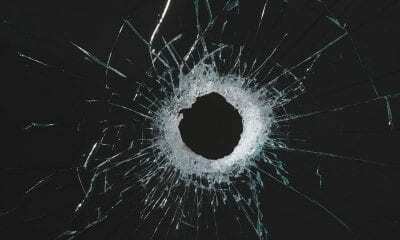 The remains found included three adult males, three adult females, three adolescents, two juveniles and an infant, possibly a family unit. Analysis of archaeological remains shows that prehistorical people practiced cannibalism, possibly one contributing factor to the extinction of the Neanderthals. In some cases, humans killed Neanderthals, brought their bodies back to caves to eat and used their skulls and teeth as dishes and jewelry. 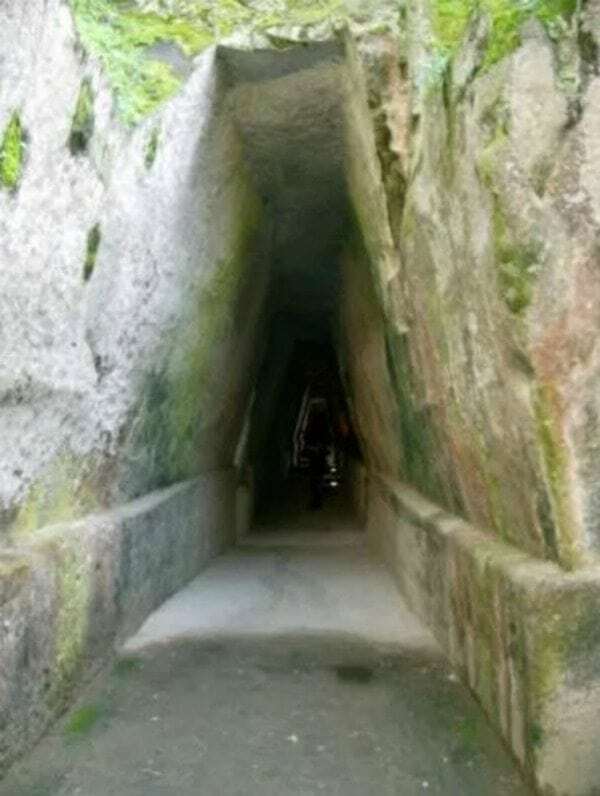 In 1962 explorers discovered a tunnel system in the cliffs at Baiae, Italy that remains mysterious and generally unstudied by archaeologists, part of a Necromanteion – a temple where citizens could go to consult the dead (called ‘Oracle of the Dead’). Due to volcanic activity in the area most of Baiae is now under water. Numerous Roman sculptures have been found at the ruins and excavations have uncovered temples to the Roman Gods Mercury, Venus and Diana. 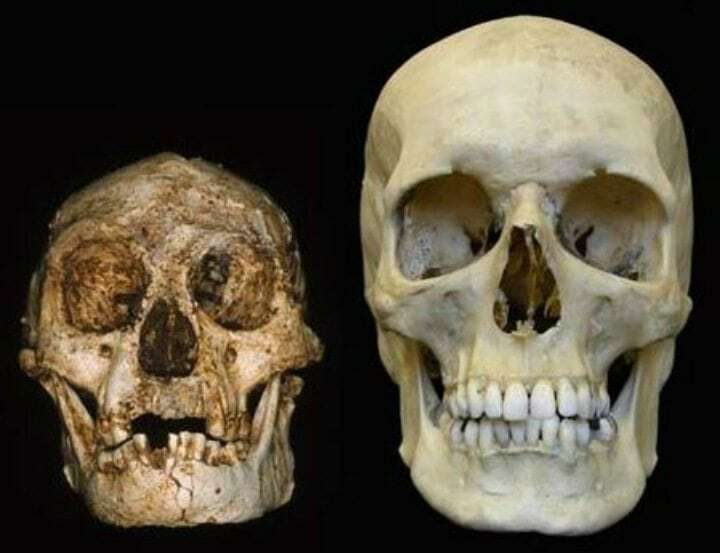 In 2003 a joint team of Australian and Indonesian archaeologists discovered the remains of an extinct species of hobbits on the island of Flores, Indonesia. 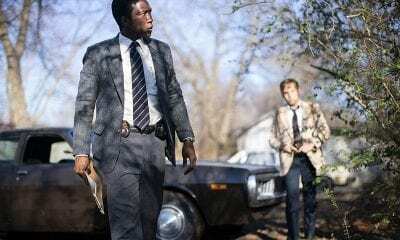 Nine separate human remains were found at the site. Dubbed Homo Floresiensis, these tiny humans stood around 3.3 feet tall and weighed around 55 pounds fully grown. They inhabited the island as recently as 13,000 years ago. The discovery has been described as the most spectacular finding in paleoanthropology in half a century. The Great Sphinx of Giza stands on the west bank of the Nile River in Giza, Egypt. Carved out of limestone the Sphinx is a half lion half human mythical creature. In Arabic the statue is called “Abu al-Haul” or “The Terrifying One” in English. 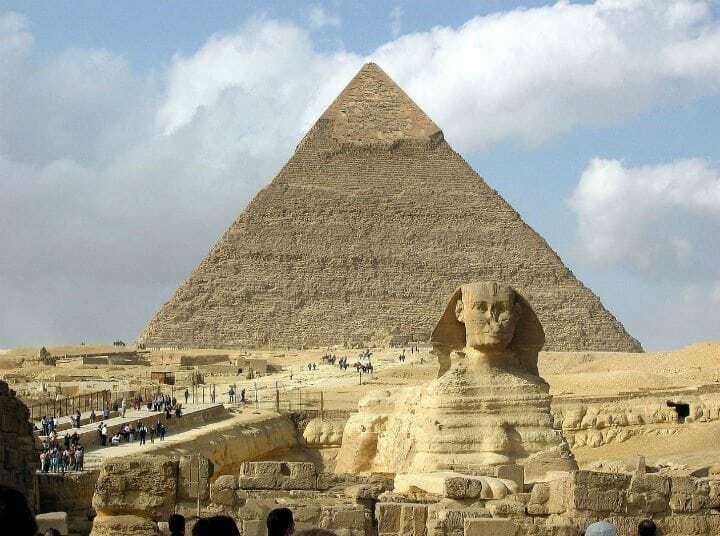 Some researchers suggest that the Sphinx was built around 2,500 years ago however the date and commissioner of the statue are not wholly agreed-upon. Many varying hypothesis surrounding the mysterious structure exist. The underlying chambers and tunnels within and underneath the structure have not been explored. Traces of pigment have been found on the statue, suggesting that it was at one point painted vivid colors. The Nazca Lines are giant geoglyphs scratched into the surface of an arid Peruvian plain. They were carved sometime around 500 BC to 500 AD and take the shape of various animal and plant shapes. 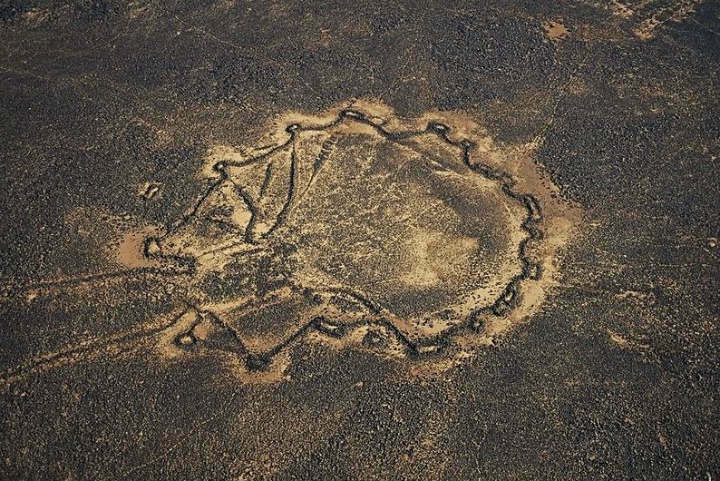 There are about 900 of the mysterious geoglyphs. 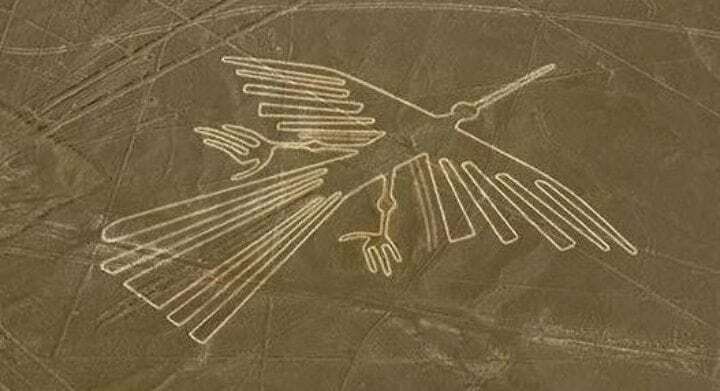 The Nazca Lines were discovered in 1927 by hikers but it wasn’t until they were spotted by aircraft in the 1930s that they became widely known. No one knows what their purpose was exactly. Some researchers hypothesize that the lines were related to astronomy and cosmology, other theories involve religious worship and textile production. 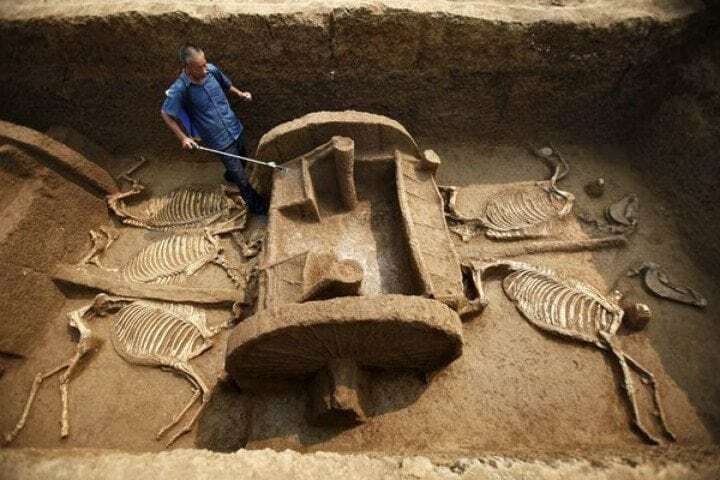 Archaeologists uncovered remains of horses and wooden chariots believed to be around 3,000-years-old in tombs in Luoyang, China. The pits contained five chariots and twelve horses. Some of the excavated items have been dated back as far as 770 BC. 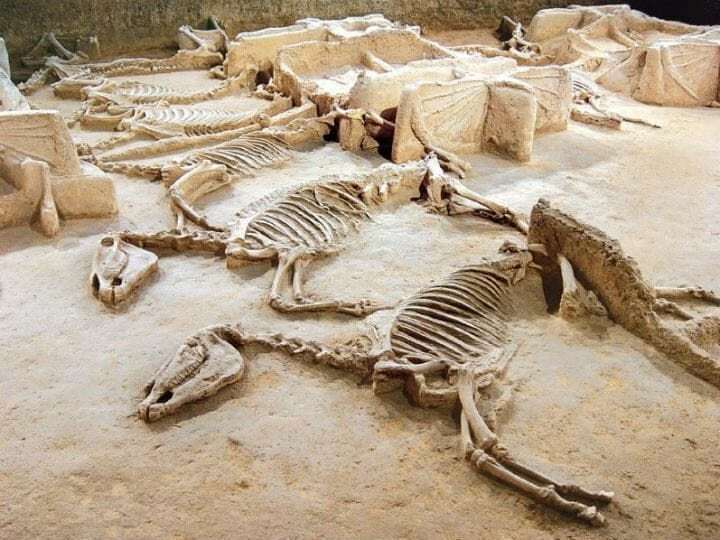 Evidence shows that the horses were slaughtered before being entombed. The tombs also contained bronze-ware and ceramics from the early Western Zhou dynasty. The discovery shed light on previously unclear funeral customs during the time period. The Moai are giant ominous looking humanoid statues carved by the Rapa Nui people of Easter Island. The Rapa Nui produced and transported more than 900 of the statues around the island. 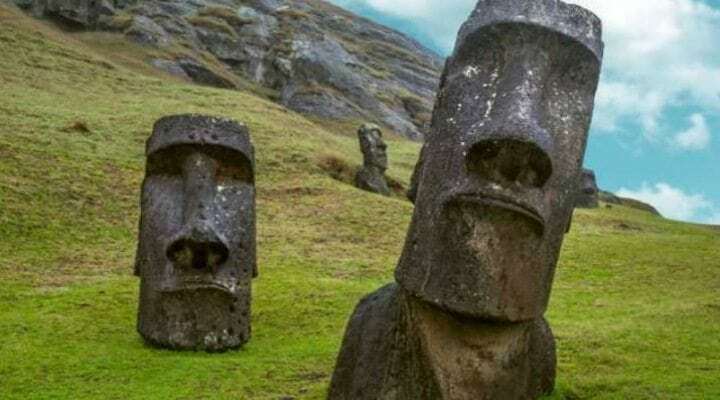 They are sometimes incorrectly referred to as the “Easter Island Heads” however they are full bodied, many of the statues are buried up to their shoulders. Each Moai represents a deceased ancestor of the Rapa Nui people. The largest statue was almost 33 feet high and weighed about 90 tons. The Moai were carved in one location, sometime between the years 1250 and 1500, then transported around the island. When discovered most of the statues had toppled over, most likely during an earthquake. Archaeological digs at Dura-Europos in present-day Syria uncovered the bodies of 19 Roman soldiers and one Persian soldier who died from poisonous gas inhalation. During a Persian siege on the city in 256 AD it is believed that the Persian Sassanid Empire began digging a tunnel under the city walls to circumvent Roman defenses. The Romans then began digging a counter-tunnel to launch a surprise attack against the Persians. As soon as the tunnels connected the Persians released a poisonous gas by burning Sulphur and bitumen crystals into the connecting Roman tunnel. One Persian soldier was too slow to get away before inhaling the deadly fumes and at least 19 Roman soldiers died from the gas. 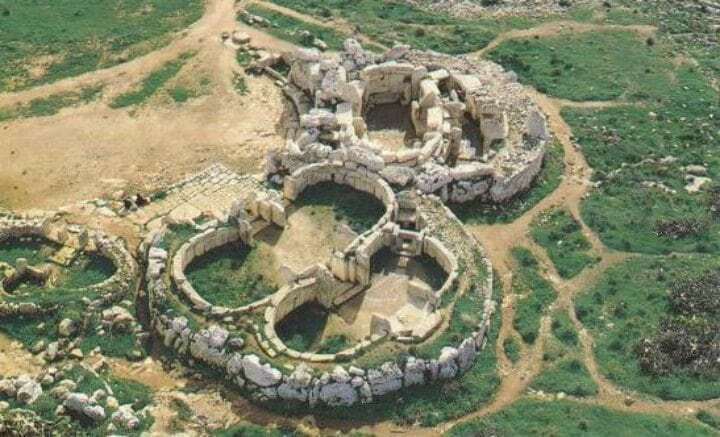 Located on the island of Malta, Hagar Qim is one of the oldest religious sites on Earth. The complex was built sometime around 3600-3200 BC and has been deemed a “unique architectural masterpiece.” Excavations have uncovered decorative pottery and statues of deities at the site. No human remains have been found in or near the Hagar Qim temples however animal bones, most likely ritual sacrifices, have been discovered. The complex was built out of limestone and has suffered from severe weathering. In 2009 a protective tent was erected over the site. The Terracotta Army was discovered in 1974 by a local farmer in Shaanxi province, China. The army was buried in pits nearby Emperor Qin Shi Huang’s Mausoleum around 210 BC. It was believed that the army would protect the emperor in his next life. While many of the warriors remain buried, it is estimated that they number over 8,000, as well as 130 chariots and 670 horses. Figures such as acrobats, strongmen and musicians have also been unearthed at the site. Each terracotta sculpture was also painted but the colors have faded over time. The mysterious Conchno Stone was discovered in 1887 by Rev James Harvey. The stone is a Bronze Age petroglyph carved into a 42 ft by 26 ft stone. Archaeologists believe the stone dates back about 5,000 ago. 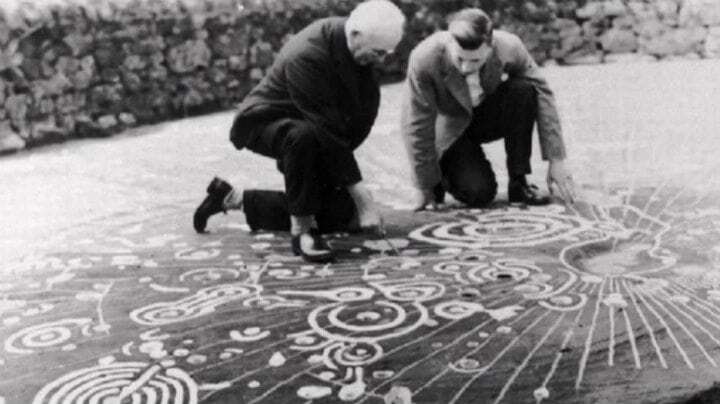 The Cochno Stone is engraved with patterns of spirals and geometric shapes. Its purpose or meaning is unknown. The stone was buried to protect it from vandalism then later uncovered in 2015 for further research. Similar stones have been found all over the world. 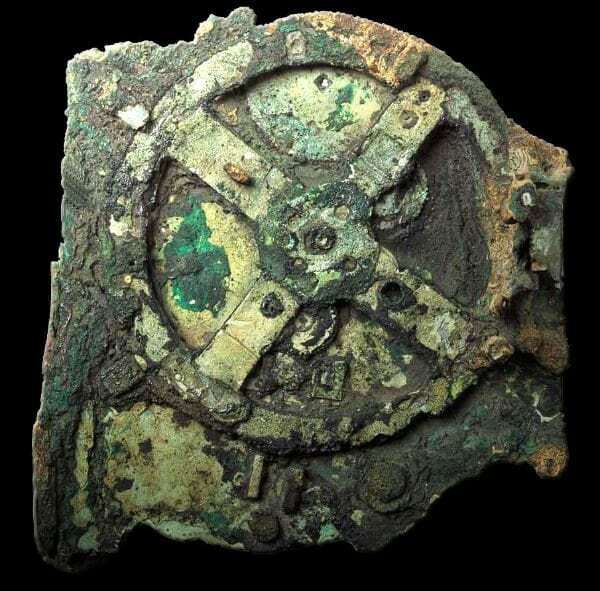 The Antikythera mechanism was found in a ship wreck in 1901 off the Greek island of Antikythera. The mechanism was an astronomical clock composed of at least 37 moving bronze gears and was capable of tracking the movements of the sun and moon, as well as predicting eclipses and irregular moon orbits. The device has been deemed the world’s first computer. Researchers believe the instrument was crafted around 150 to 100 BC. The technology was lost at some point in history and such technology would not appear again until the fourteenth century. 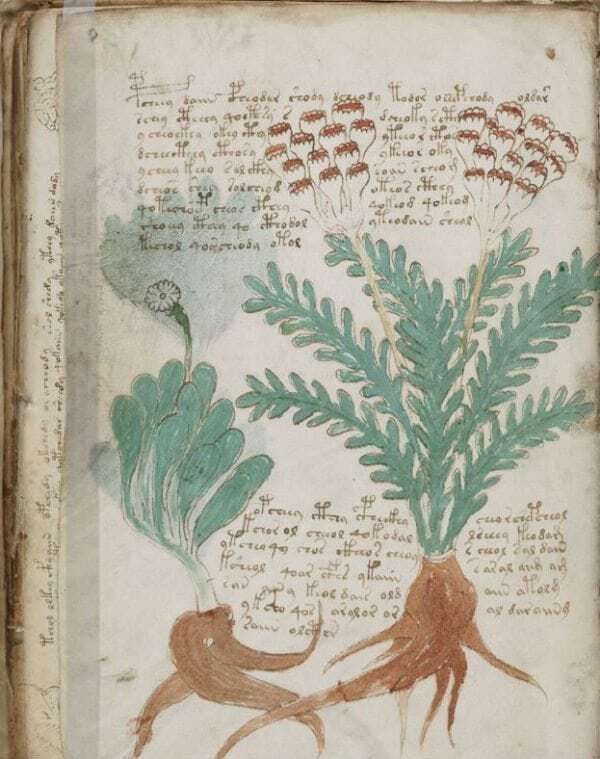 The Voynich manuscript is a handwritten text shrouded in mystery. The manuscript was written in an unknown language by an unknown author. Carbon-dating has revealed that it was written sometime in the early 15th century. The manuscript is named after a Polish book dealer who purchased the book in 1912. Professional cryptographers and code breakers have attempted to decipher the text without success, leading many to suspect that the manuscript was written as a hoax. Researchers believe that the text was written in northern Italy. The Dead Sea Scrolls are a series of manuscripts discovered in the Dead Sea area of modern-day Israel. The text holds great historical, religious and linguistic significance as they are the second-oldest known manuscripts of works included in the Hebrew Bible canon. Archeologists have associated the manuscripts with the ancient Jewish sect called the Essenes. The scrolls are dated around 400 to 300 BC and are currently located that the Israel Museum in Jerusalem. The ownership of the scrolls is contested by both the Jordanian government and the Palestinian Authority. An archaeological finding later named the Baghdad Battery was discovered in the village of Khuyut Rabbou’a near Baghdad in 1936. The ancient battery has been dated around 250 BC to 224 AD and was used either during the Persian Parthian Empire or Sassanid Empire. The battery consisted of a terracotta pot with a stopper made of asphalt. An iron rod was stuck through the asphalt, surrounded by a copper cylinder. The jar produced around 1.1 volts of electricity but researchers are unsure of what it was used to power. 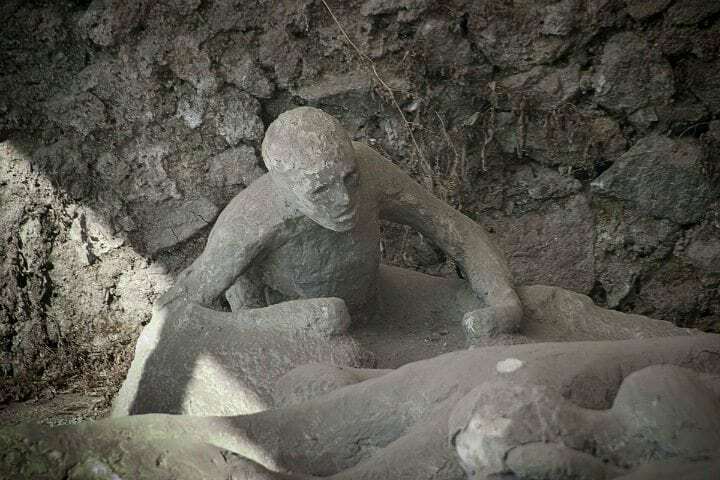 The eruption of Mount Vesuvius buried the city of Pompeii under volcanic ash and pumice in 79 AD. The city was lost for almost 1,500 years before its rediscovery. Due to the lack of air and moisture, the city and its inhabitants were preserved for over a millennium. In excavations plaster was used to fill voids in the layers of ash that once held human beings, creating molds of the cities inhabitants in the exact position they were in when they died. Pompeii is now a major tourist destination in Italy and has been named a UNESCO World Heritage Site. The Pilate Stone was found during an archaeological excavation in Caesarea, Israel with an inscription mentioning Pontius Pilate. Pilate was prefect of the then Roman province of Judaea, serving under Emperor Tiberius who is best known for the trial and crucifixion of Jesus of Nazareth. Prior to the stone’s discovery, there was no evidence of Pilate existing apart from biblical texts. The stone was being used as a building block for a set of stairs in Caesarea’s Herodian theatre, built by decree of Herod the Great. 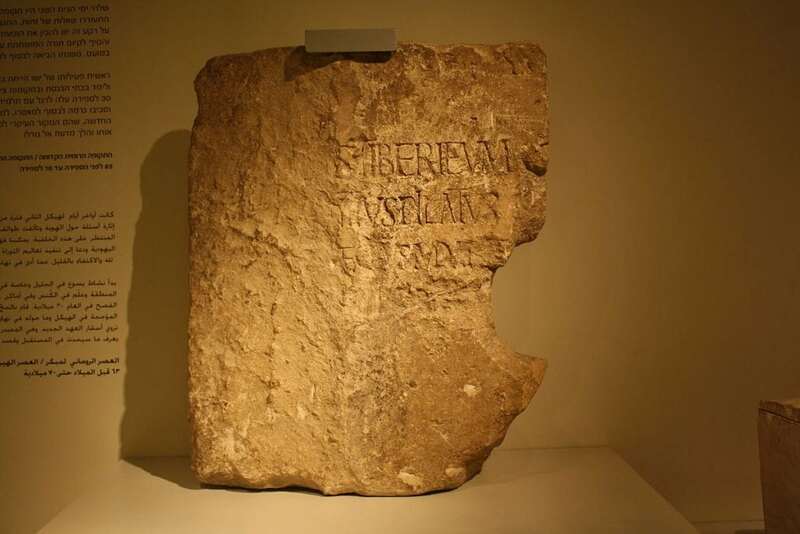 The Pilate Stone is now located in the Israel Museum in Jerusalem. The Rosetta Stone was the key to deciphering ancient Egyptian hieroglyphics. 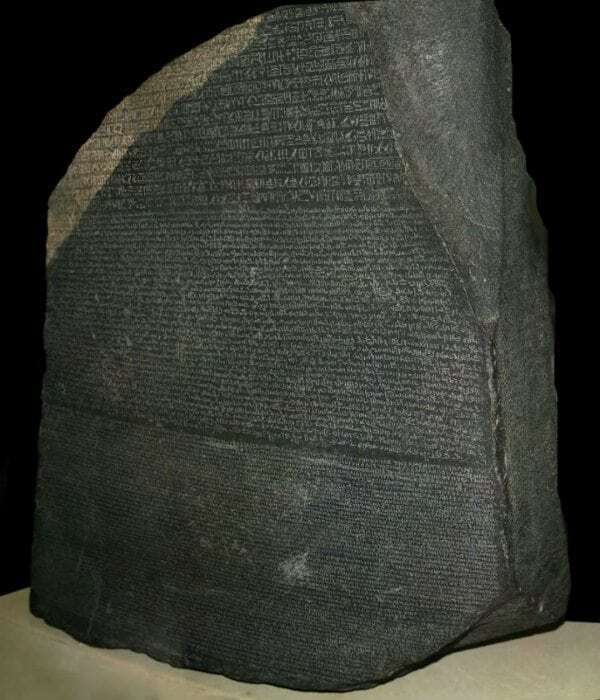 The stone was created in 196 BC and inscribed with a royal decree in three different languages; Ancient Egyptian hieroglyphs, Demotic script and Ancient Greek. The Rosetta Stone was discovered in 1799 by French soldier Pierre-François Bouchard during the Napoleonic campaign in Egypt. Prior to the discovery of the stone, no one had successfully been able to decipher the ancient hieroglyphs. 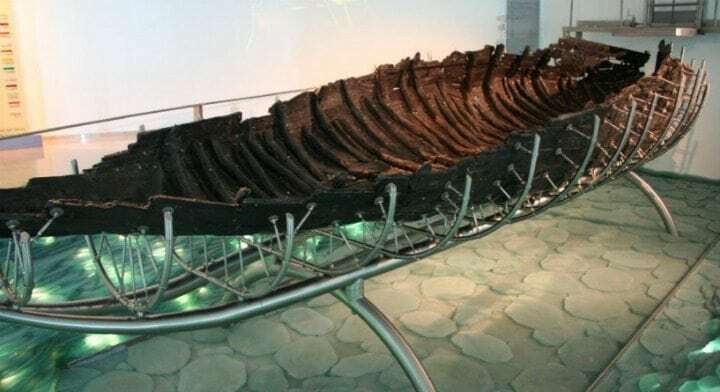 The Jesus Boat, also known as the Ancient Galilee Boat, was discovered on the northwest shore of the Sea of Galilee in Israel in 1986. The boat was an ancient fishing boat from the 1st century AD. The boat appeared after a drought when waters receded, as the Galilee is actually a fresh water lake and not a sea. The boat is 27 feet long by 7.5 feet wide. Despite the name, no evidence exists connecting the boat to Jesus or his disciples. A great skull was discovered in 1923 belonging to a previously unknown animal that existed during the middle Eocene epoch, around 41 to 48 million years ago. 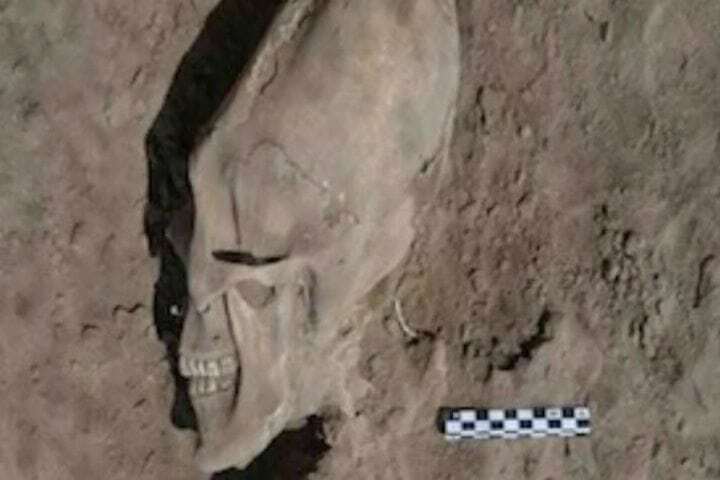 The discovery was made in Inner Mongolia, China and only one skull has ever been found. The skull is now on display at the American Museum of Natural History in New York. 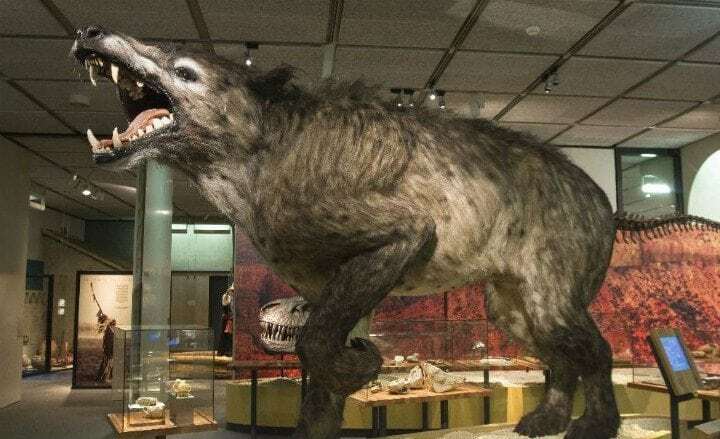 The Andrewsarchus has been declared the largest known terrestrial mammalian carnivore based on the length of its skull. Giant stone circles in the Middle East have baffled archaeologists for decades. The circles are at least 2,000 years old and made from stone walls only a few feet high. They are also full enclosed, meaning people would have had to hop over them to get inside. 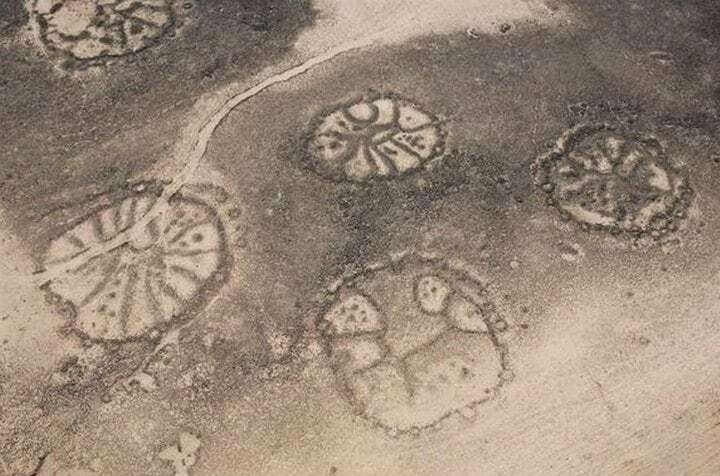 Some researchers suggest that the circles may have been constructed during prehistoric times before the existence of written language in the area. The circles were first spotted in the 1920s by overflying aircraft. Kite like lines were discovered in the deserts of Israel, Jordan and Egypt in the early 20th century by British pilots. The lines consisted of low stone walls forming lines up to 40 miles long. The long lines gave the shapes at the end a kite appearance, hence the name. The lines were most likely constructed around 2,300 to 2,400 years ago. Archaeologists suggest that they were built by local populations to trap large game such as gazelles and other hooved game into killing traps. Making it possible to kill a large amount of game at the same time. Gobekli Tepe is an archaeological site in modern-day Turkey dating back 11,500 years. Researchers say the site was most likely used as a holy site. The Turkish name Gobekli Tepe means “Potbelly Hill” in English. The ancient site predates Stonehenge by around 6,000 years and is commonly referred to as the world’s first temple. It is at least the first known temple in human existence. The compound consisted of more than 200 pillars in about 20 circles. The pillars reached a height of 20 feet and some weighed up to 20 tons each. In 2012 an archaeological expedition in South Africa found stone-tipped weapons that dated back 500,000 years ago, 200,000 years earlier than previously thought by Homo Heidelbergensis. 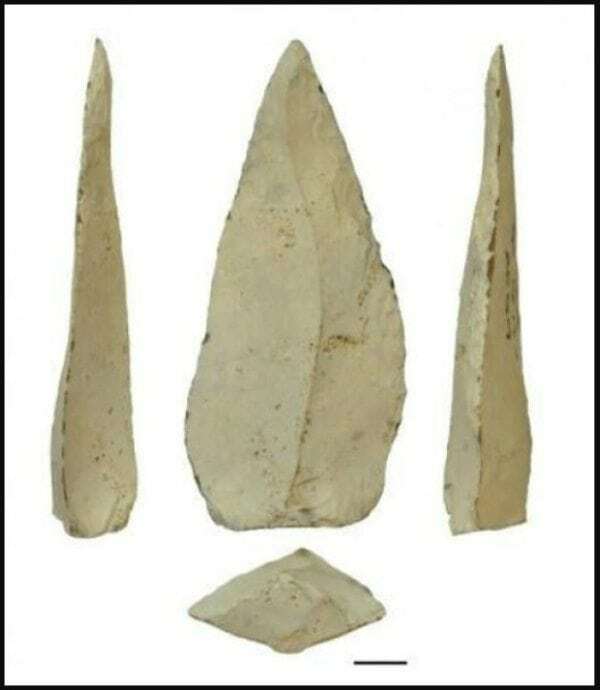 The discovery suggests that neither our species nor Neanderthals invented the use of sharpened stone-tipped weapons. The use of spears dates back to around five million years ago, even some species of chimpanzees use spears. Prior to the discovery the only stone-tipped spears found were dated no more than 300,000 years ago and had been associated with Neanderthals. Can You Name These Famous Cartoon Siblings?